A friend recently asked me about walking routes in the Peak District that can be reached by public transport. There's some great walks easily accessible by bus or train in the Peaks. You'll need a 1:25000 OS map of the Dark Peak area (OL1 Explorer Map) to follow these rough suggestions. Bing Maps do Ordnance Survey views of certain areas too -- just search for eg. Hathersage and click the Ordnance Survey Map link in the top-left corner. - Walk north-west up Grindsbrook Clough to the Kinder Scout plateau then follow the ridge west for as far as you fancy. There's also a section of Pennine Way, from Edale up Jacobs Ladder. - Or, walk south up to Hollins Cross, climb Mam Tor, then drop into Castleton or follow the ridge east to Hope via Lose Hill and pick up the train there. - Walk northeast up Win Hill. Great views over Ladybower Reservoir and the rest of the Peaks. Could follow ridge west to Edale via Hope Cross. - Walk north from the centre of Hathersage up to Broomfield Manor then to Robin Hood's Cave on Stanage Edge. Follow Stanage Edge southeast to Higger Tor then cut back down into Hathersage or follow Burbage Brook down to the bus stop at the Fox House Inn or Grindleford Station. See travelsouthyorkshire.com for route details. Bus 272 from Sheffield / Ecclesall Road / Hunters Bar to the Fox House Inn, Hathersafe, Hope & Castleton. Alighting the 272 at the Fox House Inn gives a choice of short walks north along Burbage Rocks and Higger Tor, or south and west through the National Trust Longshaw Estate to Burbage Brook and Padley Gorge. 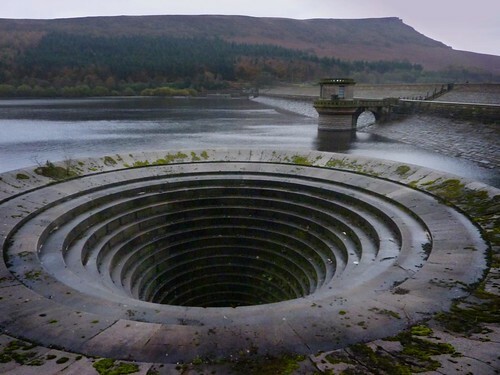 The 241/242 to Ladybower Inn opens up walks to Cutthroat Bridge and Dovestone Tor, the Ladybower Dam and dramatic sinkhole, and bike hire at Fairholmes (~2.5 mile walk northwest from Ashopton to the dam at Derwent Reservoir). For more suggestions, there are plenty of walks and bike rides listed in my list of things to do in the Peaks.